Two distinct aromas have been swirling about in Nevada this past week; the smells of pot and success. And boy do they smell sweet! Two distinct aromas have been swirling about in Nevada this past week; the smells of pot and success. And boy do they smell sweet! 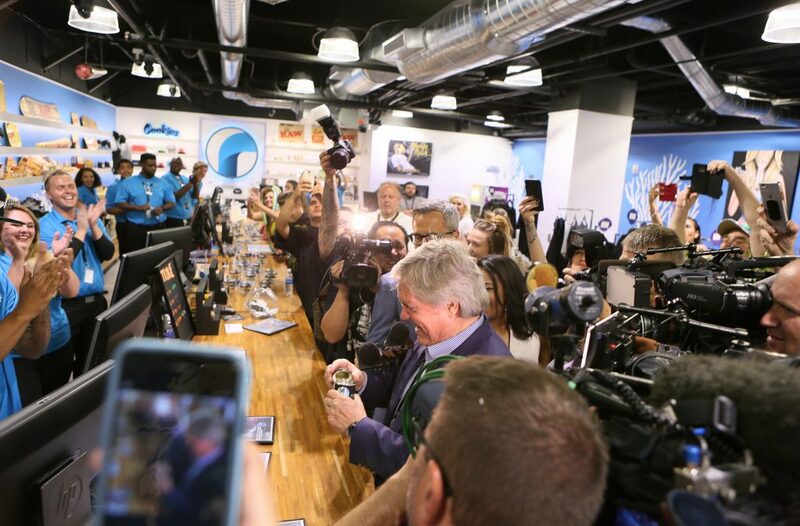 As the city wraps up its first week of recreational weed sales, the Nevada Dispensary Association reports that the first four days alone generated $3 million in sales and nearly $500,000 in tax revenue. Cannabis industry insiders had generally been optimistic but conservative in their sales projections leading up to July 1. But it has now become crystal clear that Nevada’s recreational cannabis market is set to thrive, with an estimated $30 million in sales revenue projected over the next six months. Sales figures were so high in fact, that Nevada Governor Brian Sandoval signed emergency regulations on Friday to address the distribution issues the state is facing. When Nevadans voted yes on Question 2 in November, the language permitted that the regulation of cannabis is performed in the same way as alcohol in the state. Liquor distributors had since been granted exclusive cannabis distribution rights as dispensaries geared up for July 1 rec sales. This meant that Nevada’s early start program would only allow existing dispensaries to sell off their current inventories until liquor dispensaries became licensed to distribute. A looming issue for dispensaries and customers indeed, as they feared that high sales would deplete existing inventory and put a stop to rec sales within mere weeks. Sandoval, whose budget proposal includes $70 million from recreational weed taxes over the next two years, needs Nevada’s early start program to remain on track in order to hit that mark. The Reno [Blum Dispensary] location served 1,000 customers and made $100,000 in sales during the first 24 hours, starting at midnight Saturday. The company’s three Las Vegas locations brought in a total of $90,000 in their first 24-hour stretch. 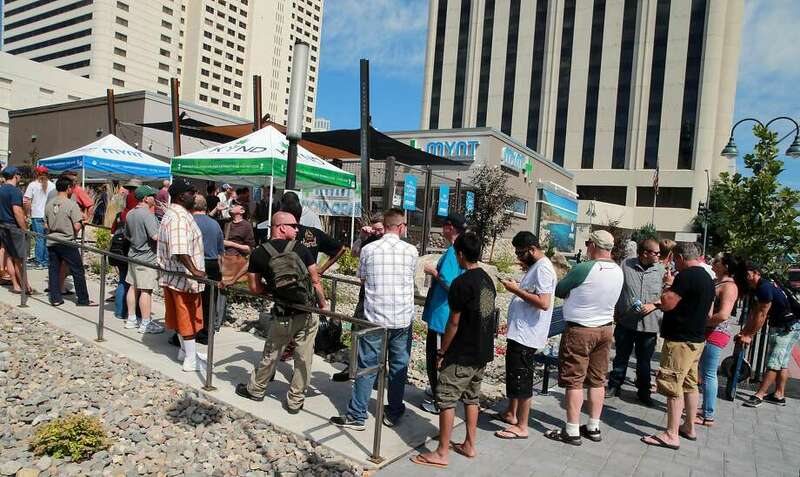 Another dispensary in Reno called Mynt took in $300,000 in sales between Saturday and Tuesday. Lines lingered for 20 minutes to an hour at Reno locations and are still going strong one week later. We’re the entertainment capital of the world. We’re going to be Amsterdam on steroids. We take a little thing like what they do, or even Denver, and we do it big. Discover Nevada, buy the marijuana and have fun! Given all the support of local government, it looks like legal weed in Nevada is set to be a huge success.